I just started working on Dk, very early work of his head. Simion32: What happened to this image? Insulting people through a hacked picture?! I plan on doing Mr.X , if you like the outcome maybe I can make some animations for the level builder, and finally we can fight Mr.X in Stronghold Showdown as many fans rumor it was meant to be. So you are kinda doing that ACM trick that they did in the original DKC games? Markster wrote: So you are kinda doing that ACM trick that they did in the original DKC games? Not really, I'm using a sculpting engine, with colors I'm positive I can make it look exactly like the old ACM game models. In the screens I was just messing with the materials, coloring is done when the model is complete. On a somewhat related note, have you done sculpting humans before? I have made a few Mortal Kombat inspired characters, here is one of them. Yep. Absolutely crazy perfect. Keep going! Do you mind if I send you a PM? VideoViking, sure you can PM me. Cosmicman, please check your Inbox. PM sent. I got an idea for you, why don't you do these for Lanky, Chunky, and Tiny, I want to play them on DELTA/DKCLB once it comes out. I'm with Markster! 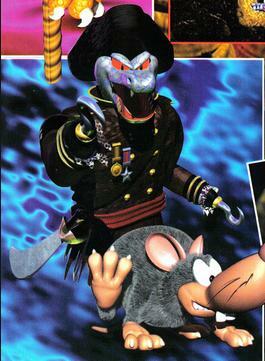 I think it would be awesome if you could make DKC versions of DK 64 characters! (These are super awesome, by the way.) What program are you making these in? Markster that would be cool, as soon as I master this program I will give it a shot. Phyreburnz I'm using sculptris, is free, check it out. I always wanted to have a Cranky kong playable character, how cool would that be? But I think there are enough sprites to combine with Diddy's body and make that happen instead of doing him from scratch. Hey, I got some ideas for some graphics you should make in this. 1. Make some Donkey Kong Land models into this. 2. Try making custom tiles, like Desert tiles. 3. Have you tried giving us a beta on what the sprites look like when rendered, even though it is not complete. Not even close to what you have in yours. Believe it or not these models are super easy to make, the Dk model that you see here is about 30 minutes of work. Doing the characters is not a problem, the only issue I have is learning to use another program to animate the models, and I need to sharpen up my coloring skills. Markster what DKL models ? The ones that they created specifically for the game? Like the flying pig? Or that little monkey I saw on a magazine scan? To make terrains I think there is a better program for that called Bryce, I will try to give you a preview of that, and I will try to finish DK and paint him to see how good the sprites look. Here is just a preview, the model can't be painted unless is completely done, is still missing the eyes, hands, legs and minor details, so this is just practice. Edit: I started working on the first 3d Mr.X ever! (After the original of course.) I'm very excited about this one. I didn't see your Mr. X until now! It looks great! I was going to edit some sprites to make one... but after seeing that... I think I'll just forget about mine! Wow! Phyreburnz wrote: I didn't see your Mr. X until now! It looks great! I was going to edit some sprites to make one... but after seeing that... I think I'll just forget about mine! Wow! Thanks! Not much, just a few teeth, and deeper details, plus eyeballs. I will work on it soon. I really want to paint him. Looks nice so far. Can't wait to see him completed fully Cosmicman. I wouldn't mind using your Mr X either. Doing Ram Bunkshus has been on my to do list for a while, I will give you the model when I finish it, hopefully soon. Here is some work done to his teeth, they are all in place. I can't wait to see Ram Bunkshus. I attempted to make a sprite of him, but I failed miserably. Do you have a list of what characters you're currently working on, Cosmicman? The list is not that long, don't worry, I got you, I will pm you some updates very soon. Hey Cosmicman, why don't you make a test render for the fans? This is blowing my mind. You're fantastic! Markster I'm still learning how to paint materials and importing to other programs so a nice render will have to wait a bit, at least until the model is complete, is still missing the badges, sword, and minor details. Mr.X is alive and moving. Were you on the original DKC devlopment team in a past life ? I wanted to share my updated Ram, this one might be done soon, since there is not that much to do on it. The models resource accepts fan models. Just sayin'. Tonberry2000 , all my models sheets will be released as soon as I complete them, I would love to see them in action in the level builder or any other project like DKC4. That is looking wonderful! I was wondering, though, if there was a way to delete that line in the center of your characters. I would assume the reason it's there is because of the program's mirror feature that allows one side's editing to be applied to the other side. The line can be removed in the options, I always forget to remove it before I take pictures. Ram Bunkshus is looking very nice! I can't wait to be able to use him for DKLR! i can just barely see the eye textures you did from the angle of the model but from what I can see it looks pretty accurate. Keep up the good work! Good job on those 3D DK characters Cosmicman, I can't wait to see you render them. Wow your models look great Cosmicman. When you finish them let us know I can't wait to see what the sprites will look like. Edit: Ram is done, no paint but at least the 3d model is completely done, what screen video recorder can I use? I would like to upload a render video. Try CamStudio. It's free (GPL'd) and possibly a bit finicky but it's the best free program I've seen out there. Unless, that is, you have a suitable camera with SD card and can record the screen live. That's how I did my RE tutorial video. If you need any help setting up Camstudio, you can contact either me or Simion. For best recording results, I suggest setting it up with the DivX codec. Very nice! I hope someone uses them. Do you have any updates? Right now, I'm attempting to make Winky.